The TheraBite jaw motion rehab system is a hand operated device from ATOS Medical that provides a simple option for jaw hypomobility and dysfunction. The Therabite system successfully alleviates trismus from cancer, radiation fibrosis, trauma, TMJD, facial burns, and stroke. 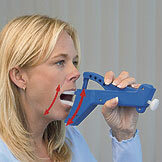 Read more about the TheraBite jaw motion rehab device and how to order here. Do you have a Prescription Rx for a TheraBite System? PHONE: Call us at 1-800-206-8381. We can tell you more about the device, and start the process to order a TheraBite system. ONLINE: Fill out this TheraBite Rx Contact form, and we will request a copy of the Rx from your doctor, contact your insurance, and then give you a call with more details. FAX: Send a copy of the Prescription to us with your contact and insurance information by fax to 303-480-9115. In addition, include your name, phone number, address, date of birth, insurer, policy #, and insurance provider phone number. EMAIL: Email us at support@craniorehab.com with your name, phone number, address, date of birth, insurer, policy #, and insurance provider phone number. If you can, include a scan or take a photo of the Rx (phone or camera) and attach it to the email. TheraBite Bitepads for the device. Range-of-Motion (ROM) scales to help measure and track the opening and movement of the jaw and mouth. TheraBite ActiveBand for oral muscle training. TheraBite Device replacement parts like the adjustment knobs. 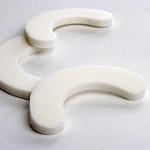 You can also compare the TheraBite system to other jaw motion rehab systems here.